This answer follows the directions, so shouldn't it be awarded full credit? I would have marked this correct; full credit for thinking outside the box (or in this case, the triangle!) 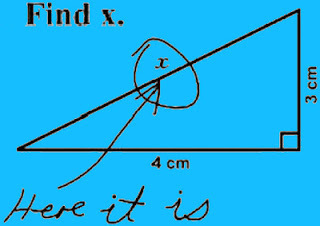 To avoid such an answer, the question should have asked for the value of x...!